When Kristen Ashley warned her readers to brace for Hound’s story, I braced, and as Hound kept his feelings locked up tight for his brother’s wife and then widow, I struggled to understand why he didn’t try to find his own happy…find a way to move on from the one woman who would never truly be his. But, as the years went by and Hound continued to have Keely, Jag, and Dutch’s back in all the ways that mattered, it was made clear that it would only be Keely for Hound, and if he couldn’t have her the way he wanted to, he would have her and her boys any way he could. I have to be honest…until I heard Keely’s side of things…her struggles, her acceptance, her thoughts and feelings about Black, about Chaos, about her boys, and about Hound, I felt like she was using Hound and I felt like it was only a matter of time until Keely broke Hound completely, forcing him to cut ties with one of the only two families he’s ever really had. But the further I read/listened to Hound and Keely’s story, the easier it was to see that together, Keely and Hound could ‘ride wild,’ ‘burn bright,’ and ‘tear it up’ and Kristen Ashley illustrated that fact so vividly that regardless of the battle this couple would have to fight in order for Hound to truly claim Keely as his ‘old lady,’ they would get there…side by side…with ‘their’ boys at their side, and hopefully, Hound’s brothers at their back. Throughout the entire Chaos series, I’ve seen Hound as Chaos’ Enforcer…the biker willing to bleed Chaos blood for his brothers…the man who shields his club from as much blowback as he can and protects those he loves with every part of himself. 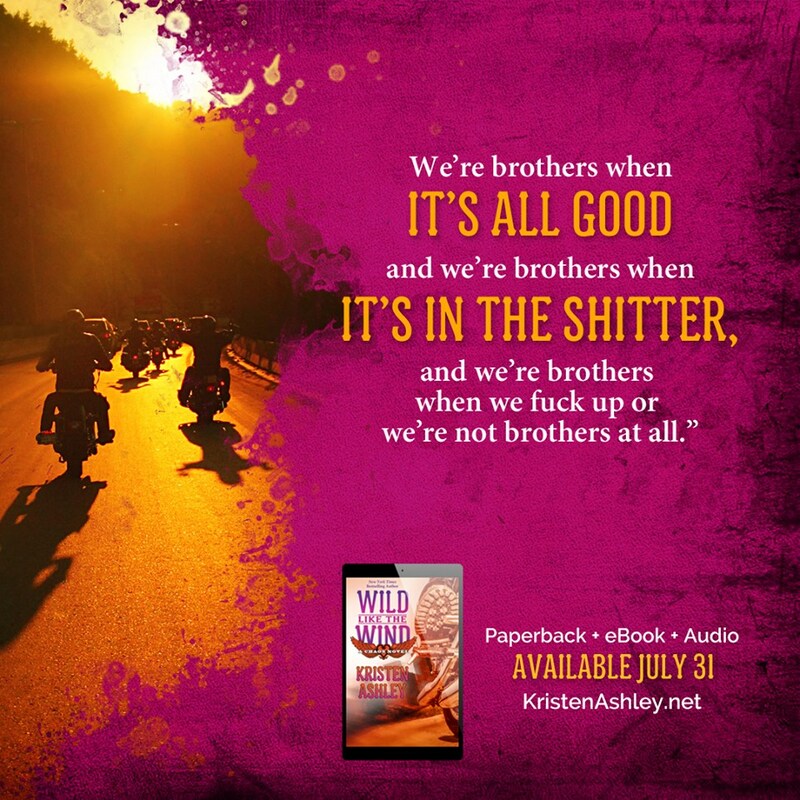 In Wild Like the Wind, though, readers get to know who Shepherd Ironside is, and let me tell you as much as I love Hound’s sexiness and badass alpha attitude, the man underneath the biker is EVERYTHING, and while he definitely says and does things that he regrets, he more than proves the kind of man he is and why he deserves this second chance with Keely, even if his Chaos brothers don’t feel the same way. 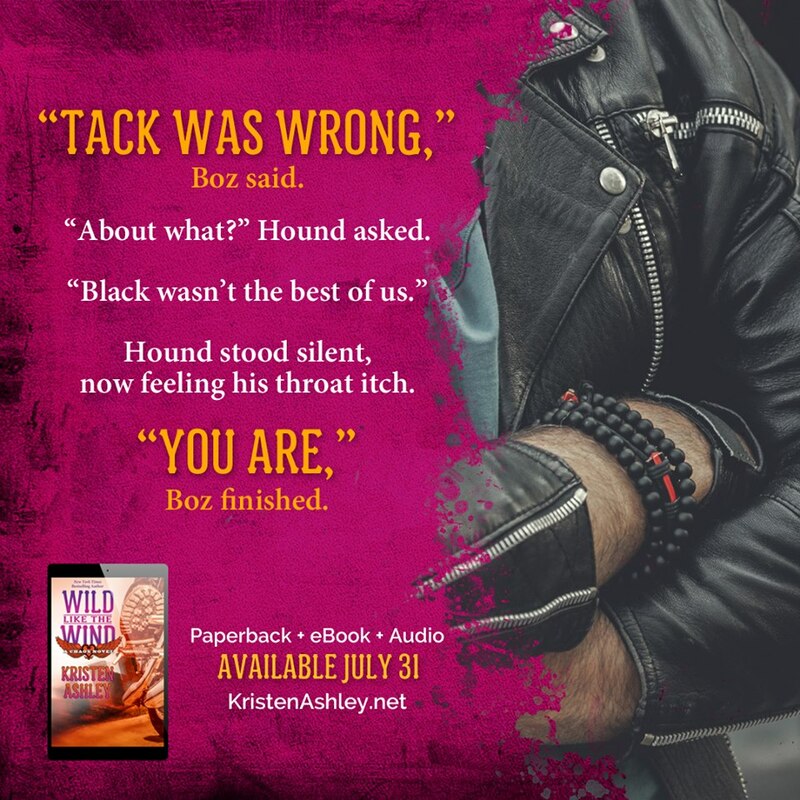 The way that Kristen Ashley sets up Hound and Keely’s story, describing their respective pasts and then building up to the point that it’s beyond time they attempt to move forward together provides readers with much needed insight and then brings us along for Hound and Keely’s wild ride – one that definitely has a few bumps in the road but one that also showcases exactly why they should be free to ride the wind together. Kate Russell was the perfect narrator for Hound and Keely’s story. She brings life to all of the Chaos characters by altering her voice in a way that relates the emotions of each character, captures the intensity of each scene, and vividly depicts what’s at stake for everyone involved in the story line. 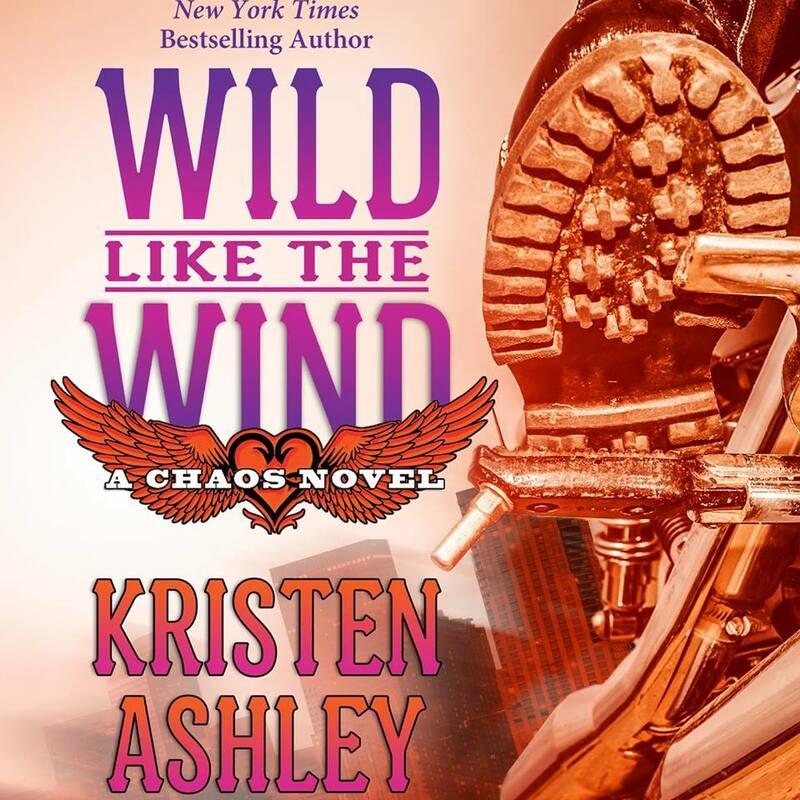 I absolutely adore Kristen Ashley’s Chaos Series, and while I’m sad to know it’s ending soon, I feel like I have waited forever for Rush’s story, and with how he steps up in a big way for Hound at the end of Wild Like the Wind, I can’t help but be even more eager to see Rush find his old lady and his true place, not only in Chaos, but in his life as a whole as well.